Our regular readers know the writings of Fjordman, and are familiar with what has happened to him in the two weeks since Anders Behring Breivik murdered seventy-six people in Oslo and on the island of Utøya. 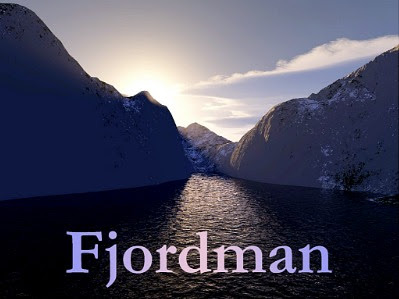 Our thousands of new readers also know who Fjordman is — or at least they know the media construct labeled “Fjordman”, which has little or nothing to do with the reality of the man who chose that pseudonym when writing about the ongoing destruction of European civilization. Yesterday, after receiving legal advice, Fjordman chose to visit the police, reveal his identity, and answer any questions they posed. Contrary to media reports, the police did not “discover” him. For the record: The Norwegian authorities had no idea who Fjordman was until he decided to reveal himself, of his own free will. After his discussions with the police, he gave an interview to a media outlet, and then retired once again from public view. An account of the police interview was published here. Then, later on this morning, the interview with Fjordman was published at VG (English version here). The same information was later published in Denmark. Almost immediately his real name was added to his Wikipedia entry, which had already been in existence for a number of years. It’s no surprise to learn that he has gone into hiding — we’ve all seen what the “anti-fascists” do to people who hold opinions like ours, and Fjordman has to be one of their high-priority targets. Fjordman began posting essays at Gates of Vienna in the spring of 2006. I first met him in person about a year later during my trip to Copenhagen. We have encountered each other again over the years during some of my visits to Europe. In the process we became good friends, and remained in correspondence until he made his momentous decision the other day to visit the police. Now his “brand” has been forcibly retired. But this doesn’t mean that Fjordman’s work will come to an end. As his long-time readers know, Fjordman is completely dedicated to the cause of reclaiming and upholding European civilization — not through murder and destruction, as his supposed admirer Anders Behring Breivik chose to do, but rather by honest discussion and legitimate peaceful action through the political process. This is what we all believe in here at Gates of Vienna. Our goal is to be outspoken enough to prevent what must otherwise surely come. If we who love our civilization and culture do not stand up now, then certain violence awaits us. Our enemies have declared this clearly over and over again, and we would be fools to disregard their stated intentions. By utilizing our current — and precarious — right to free speech, and by raising public awareness of what is being planned, we hope to avert the violence and degradation that the Islamization of the West will inevitably entail. For the record: Fjordman is the best of us. He is not just a brilliant scholar and a fine writer, but also the most decent, gentle, and humane person I have ever met. He is a man of utmost integrity, and it shines through in his dealings with others as well as in the millions of words he has written. His forced resignation from his position as “Fjordman” does not spell the end of his work. Hat tips: Steen, Henrik and KGS.